Your "go to" statement tote. Exude coolness and ease of style with this bag on your shoulder. 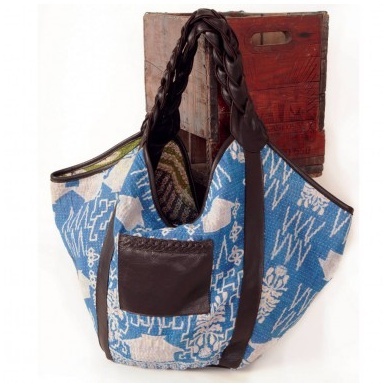 Imported quilted cotton kantha textiles with buttery leather braided handles and pockets. Reversible.